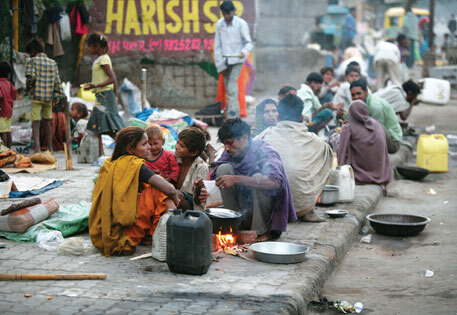 India’s rapid economic growth is helping drive down the number of poor people living in Asia, a new report says. The number of people living below the poverty line, on $1.90 a day or less, in South Asia decreased by 37 million in 2013 from a year earlier according to World Bank. Poverty and Shared Prosperity 2016 is the first of an annual flagship report that will inform a global audience comprising development practitioners, policy makers, researchers, advocates, and citizens in general with the latest and most accurate estimates on trends in global poverty and shared prosperity. This edition will also document trends in inequality and identify recent country experiences that have been successful in reducing inequalities, provide key lessons from those experiences, and synthesize the rigorous evidence on public policies that can shift inequality in a way that bolsters poverty reduction and shared prosperity in a sustainable manner. Specifically, the report will address the following questions: What is the latest evidence on the levels and evolution of extreme poverty and shared prosperity? Which countries and regions have been more successful in terms of progress toward the twin goals and which are lagging behind? What does the global context of lower economic growth mean for achieving the twin goals? How can inequality reduction contribute to achieving the twin goals? What does the evidence show concerning global and between- and within-country inequality trends? Which interventions and countries have used the most innovative approaches to achieving the twin goals through reductions in inequality? The report will make four main contributions. First, it will present the most recent numbers on poverty, shared prosperity, and inequality. Second, it will stress the importance of inequality reduction in ending poverty and boosting shared prosperity by 2030 in a context of weaker growth. Third, it will highlight the diversity of within-country inequality reduction experiences and will synthesize experiences of successful countries and policies, addressing the roots of inequality without compromising economic growth. In doing so, the report will shatter some myths and sharpen our knowledge of what works in reducing inequalities. Finally, it will also advocate for the need to expand and improve data collection—for example, data availability, comparability, and quality—and rigorous evidence on inequality impacts in order to deliver high-quality poverty and shared prosperity monitoring.